Fenugreek (Methi in Hindi), is a herb with multiple benefits. It is one, who is healthiest and beneficial in the medical world. It is mostly used in cooking as a spice because it tastes bitter. The aura of Fenugreek is such that it is used in various medicines because it is a cure for dozens of diseases and also cooked as a vegetable to avail its benefits. It has abundance of minerals. vitamins. proteins, calcium and iron in it. Fenugreek contains phytochemical ingredients and nutrients like yamogenin, trigonellin, chlorine, copper, potassium, mangnese and zinc, providing relief to many problems faced by humans and animals. All these enhance its cooking value and it’s seeds present a great reputation, as they contain a high amount of fiber that culminates high blood pressure, diabetes and controls all the body fluids. It strengthens the digestive system. Ayurveda has known its value since ages, as many remedies are churned out using Fenugreek seeds, as it is a power house of talented properties. Most common ailments are easily tackled by these tiny, amber colored seeds. People who are Kapha dominated, lack heat in their body. So they have a very weak immune system, and are very prone to common disease like cold, cough and flu. Fenugreek water is given to them to strengthen their immune system. It gets stronger and begins producing more enzymes and these small diseases are tackled easily. Diabetes is a disease that can strike anyone without showing any symbols. It is such a dreadful disease that carries along many other diseases, and slows down the process of recovery. Diabetes is growing in number, according to a report by WHO about diabetes in India will be 100% in the next 20 years. Before we run into dire straits, something need to be done. This alarming raise is happening due to change in life styles, hectic schedules and lack of the physical movements. 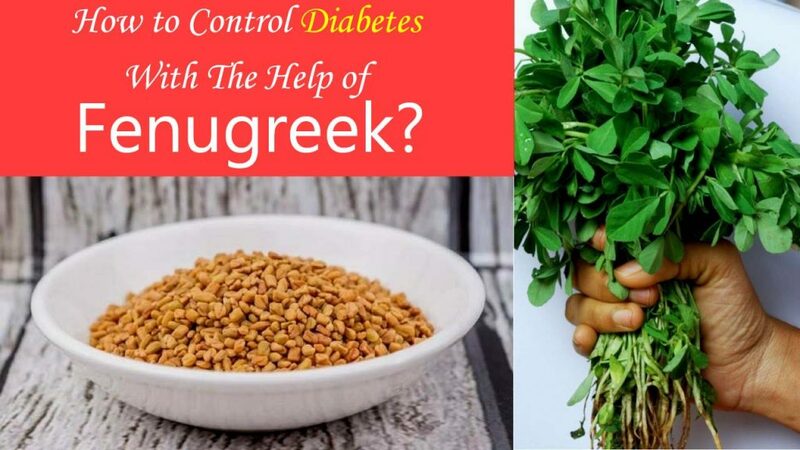 Now why do we need some expert in dealing with the problem of diabetes, when we can grow Fenugreek in our kitchen garden and avail its benefits. Nobody wants any side effects, Fenugreek has none, medicines you take to control diabetes have many. Without any fuss, let’s discuss the benefits of Fenugreek and how it controls diabetes. Many theories have found some amazing facts about Fenugreek controlling diabetes as a natural solution, for both type 1 and type 2 diabetes. They believe that by just adding 100 gm of fat reduced Fenugreek seed powder in your diet can control the glucose level from spreading in insulin-dependent persons. Another research was done on patients of Type 2 diabetes, and it was found that adding 15gm of Fenugreek powder controls their post-meal glucose level. Thus, the result showed that Fenugreek is the ultimate remedy and an economical for diabetic patients. Some people have this disease genetically or some people are on the brink of having it, adding Fenugreek in their daily meals is the only solution for them. Beware, it should be organic, and not affected by any chemical sprays and fertilizers. There are various dishes you love eating, add Fenugreek to these dishes and their spicy flavor can make them yummy. Fenugreek has a soluble fiber called Galactomannan, which reduces the pace of digestion and soaking of carbohydrates and sugar. Thus, it reduces the blood glucose level and enhances their glucose level forbearance. It also has a rare amino acid, that enhances immune system, which was in worst conditions. Both types of diabetes are controlled by Fenugreek alone. It also helps the use the sugar in a proper manner. There are many ways to consume Fenugreek. I’ll explain some of them to you, which can be beneficial for you. 1. Roast the Fenugreek seeds on a medium heat for about 2 minutes, keep stirring. Then put a teaspoon of these seeds over your well cooked dishes, curries, salad or anything you love eating. 2. Put 1 teaspoon in a glass of water, let it lie for the whole night. Gulp it down the first thing in the morning, on an empty stomach. 3. Fenugreek seeds have to sprout, keep the seeds in a jug filled with water and cover its top by tying a cloth over it. Put it on a shelf for a few days, out of the reach of children & kids. When small green shoots appear, these can be added to any kind of salads. These work wonders. 4. Fresh Fenugreek seeds can be mixed in chapattis, paranthas, rotis, idli and dosas. 5. Get addicted to Herbal Fenugreek teas, mix it with honey & lemon, a perfect remedy that shows the door to many diseases. Get 1 teaspoon of Fenugreek seeds and quash them gently and put them in a glass of water for 3 hours. Add a tea bag or tea leaves and boil the water. Add some lemon and honey (according to your taste), and enjoy this hot & steaming tea sitting leisurely in your home. If you are diabetic, the following mixture will definitely affect you. You have to get 1 teaspoon powder of all these things, Neem, Jamun, bitter Gourd and Fenugreek. Get a large plastic bowl and mix all of them. Pour this mixture in a glass jar. Keep this jar at a dry, cool and safe place for using in the future. Better be regular in having 1 teaspoon, twice a day with water. It might not be in your tasty recipe, but take it as a medicine as it does wonders in controlling your diabetes. All these prove to be a tonic for immune system, which is always ready to combat this arduous disease in a natural way. Nature has bestowed all these herbs for our benefits and we should be ready to avail all the benefits and thank nature. Fenugreek can also be mixed with yogurt and eaten, its spicy taste makes your yogurt yummy, as yogurt too has anti-inflammatory features. Both form a great couple when they get together and challenge the diabetic factor. Get a Cup of yogurt and 1 teaspoon of Fenugreek seeds. Make powder of these seeds and mix them with yogurt and stir well. It will be more beneficial if you have it twice a day. 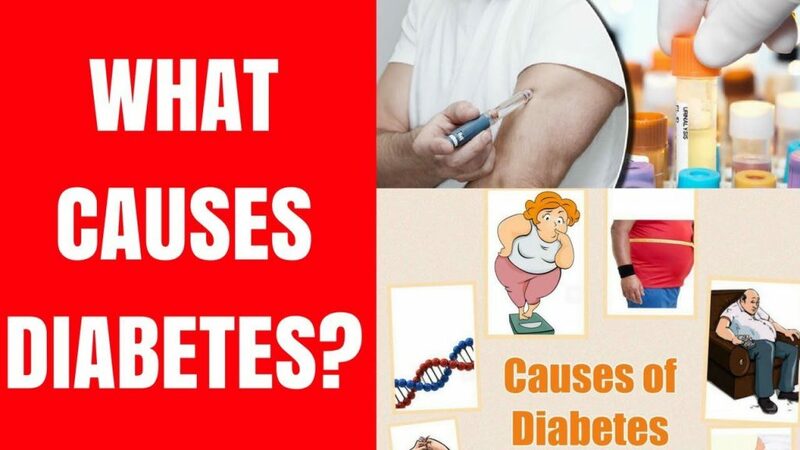 You will control your diabetes without having insulin as both these trigger the immune system, making it to spring more enzymes and fighting the fungus responsible for getting you the awkward disease called diabetes. There is another way to enjoy its benefits, take 2 teaspoons of its seeds and 2 teaspoons of its crushed dried leaves powder and a cup of boiling water. Get a steel or aluminum container and put these in it. Pour the boiling water in the container and wait for half an hour. Now strain it and keep this water in a jar of glass, away from the reach of children and kids, in a cool and dry place. Regularly take half a spoon of this mixture, thrice a day to get results that you are seeking. Mostly it is used in powdered form because of its bitter taste and extremely strong smell as an alternate of chilies that we Indians are so used to having in all our meals. To reap the maximum benefits, soak these seeds in hot water for a few hours and then can be used to add flavor to your different dishes that you are cooking. It’s original taste can make you angry, but when you hear about its benefits, your hot temper evaporates. Add it when you finish cooking and your dishes are still hot, because its benefits decrease the moment it is heated on the flames. If still you don’t like it added to your yummy dishes, it is easily available in capsules too, and should be taken at least an hour before your meals, but better be aware about the other ingredients that are written on the label. Usually 500mg capsules are recommended. Normally it is taken in the dosage of 2.5 gr to 15gr and rest depends on the patients physicality, age and diabetes severity. But, beware don’t overeat it as ‘anything in excess is bad’, your diabetes can lose control if you do. That is inevitable to happen. If you add Fenugreek in your diet plan, which is normal, otherwise be ready to face the music as it can find the problem gas in your abdomen getting collected, making you look bloated. It can have adverse effects, especially to the persons who are having blood clotting disturbance. Pregnant ladies should avoid having it in capsules. Its fine when they use it with their cooking, because in excess it speeds up the labor pains. Before you proceed, take the advice of your doctor or dietitian, as he/she knows about your disease and physical appearance thoroughly. Talk about the Fenugreek and he/she will tell you about its pro & cons. If you try it yourself, no doubt it will lower your blood glucose level, but sometimes it can come to a dangerously low situation. Then your physical condition will deteriorate and sometimes, though rarely, can prove fatal for you. Why take this risk, consulting your doctor will land you in a hunky-dory position.